On December 11, 2017, VTA along with the Consumer Advocates for Smoke-free Alternatives Association (“CASAA”), the American Vaping Association (“AVA”), and the Smoke Free Alternatives Trade Association (“SFATA”), issued our Unified Front Letter to the vapor industry advising that the time was close to step up and support our call to action to change the predicate date, as part of the pending FY 2018 Appropriations process. That same day, the American E-Liquid Manufacturing Standards Association (“AEMSA”) announced that it had taken a remarkable unilateral action that directly conflicted with the will of the overwhelming majority of the vapor industry. Specifically, AEMSA announced that it sent a letter to House and Senate leaders in the United States Congress, including Senate Minority Leader Chuck Schumer and House Minority Leader Nancy Pelosi, directly attacking a legitimate and important legislative strategy that VTA and every other advocacy organization has been pursuing for the past three years. In so doing, AEMSA purported to speak on behalf of the entire vapor industry in declaring to Congressional leaders that it would be a mistake to change the predicate date, and claiming that our industry doesn’t need additional short-term relief. In sending their letter, AEMSA demonstrated a complete disregard of the powerful Members of Congress who have graciously stepped forward to champion our industry. In an effort to mitigate whatever damage AEMSA’s letter may have caused, we were pleased send a Unified Vapor industry letter, from VTA, AVA, CASAA and SFATA, encouraging our Congressional leaders to do the right thing and change the predicate date. Here are examples of the Unified Vapor Letter (House) and the Unified Vapor Letter (Senate) that VTA’s team delivered to the Hill on December 14, 2017. Individuals and groups may disagree on policy and strategy. However, nothing gives one group license to undermine years of important relationship building and issue building in Congress simply because it has a “strong belief” in another approach. Similarly, nothing justifies one group tearing down a legitimate legislative strategy that could be enormously beneficial to small and mid-sized companies right now, based on the notion that they have a better idea and might be able to secure something better at some point in the distant future. So, if someone tells you their way is better, if they promise a “permanent” fix, if they tell you that they can solve your entire problem, or tell you that they are going to take vapor out of the Tobacco Control Act, that’s great. Just make sure you ask all the hard questions like, what is the strategy, who is the team that will execute it, how are you going to generate support in the House and Senate, and where are the funds coming from to make it happen? Absent answers to these questions, you are just being offered ideas and words. To that end, our fights are not ideological and not hypothetical. They are real, they are present, and the clock is ticking. Effective advocacy requires that we engage in strategies that can bring relief to our industry, engage in battles that are winnable, and that we build on prior success. Our industry does not have the luxury of hope. We are in a pitched battle and if we are repeatedly distracted from singularly focusing on our real enemies, we’ll wake up one day with a basket full of beliefs but no believers in government. As we look forward to another year, we invite all of you to join our continuing efforts to level the playing field and secure a bright future for the vapor industry in the U.S. by working simultaneously with Congress and the Administration. For more information on why this one prong of our multi-pronged strategy is important to small, mid-sized and large companies alike, please read our Changing the Predicate Date Summary and FAQ. 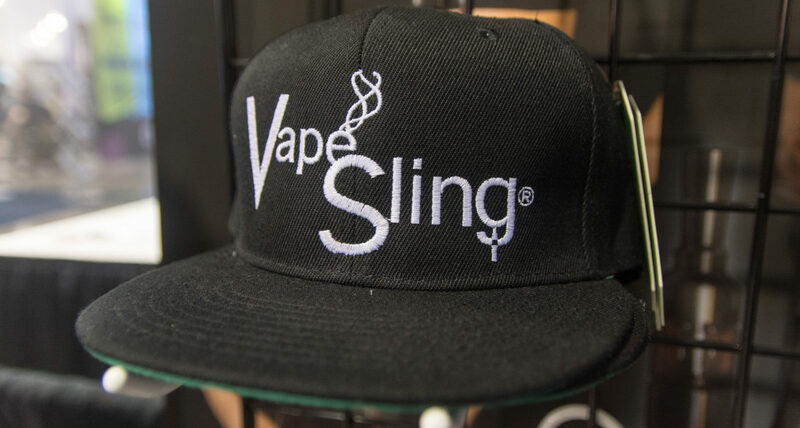 This vape news Article brought to you by VapeSling® LLC subscription with the VTA. This and all groups who continue the community VapeFight will be supported past, present and future by VSLLC. All Vapers and Vape Industry want is fair regulations. Presently, the FDA regulations have been written in a aggressive and unfair manner. The requirement for PMTA has no merit in it’s application, rather for the industry to collapse in financial burden. All items introduced should face a regulatory means for safety and consumption. The comparison would be Ketchup and Fancy Ketchup: 1 Ketchup PMTA is good for all variations in flavor. Why not with Vape E-liquid? Thank you for Slinging with us since 2014!!! NOTE: Orders placed on and after Nov 20th will be held for processing till our return on Dec 5th. We will immediately process your order at that time and we thank you for your patience with our celebration. If you are a daily Slinger, you may have valuable feedback? If so,Please, write a review. Every product page has it’s own review tab. Or tell us on our secure Contact Us. On several occasions, VapeSling staff members have taken action on issues directly affecting our vaping community such as contacting several of our local Nevada politicians as well as the President himself. We encountered most favorable responses from Senator of Nevada, Dean Heller and recently Representative of Nevada Joe Heck . If you are a local to Nevada, please contact them to express your vaping concerns and relay any call to action from vaping advocate groups, clubs and associations. Furthermore, thank and support Joe Heck and Dean Heller by voting for their renewed services on election day. Lastly, our USPTO patent will grant in 2017. Filed in 2014, our USPTO NPA is finally on the examiners desk. VSLLC /VapersArmy updates this page daily. VSLLC conducts daily research for new CTA’s (Calls to Action) every morning. On occasion, one of the esteemed #2017VapeFight .org’s may publish a CTA later in the day. It may pass us till the next day. Help this page—> ON IG, we have received several CTA Alerts in the past from concerned Vapers (#VapeWarriors). We appreciate this and please continue or join in this practice. We will publish your handle when you tag us for the alert. Thank you VapersArmy! Although, most of these CTA do not pertain to VapeSling® products directly, they do affect our #VapeCommunity success. The Vape Community is family…being part of a family means doing your part. Please advocate for Vapor as Harm reduction for you and future vapers. IL – Elk Grove Village – Stop Tobacco 21! The annual ECigIntelligence Vapers Survey is now open. If you can carve out 10 minutes to participate, your input will be appreciated. CASAA and ECigIntelligence worked together to provide a survey that will aid in both out policy efforts as well as gaining a better understanding of the vaping market. Thank you for your fighting efforts! Starkville, MS (UPDATE) – Take action to stop an indoor #vaping ban! Robbinsdale, MN – Take Action to oppose a Tobacco (and #vapor) 21 law! This summer, the Food and Drug Administration (FDA) announced a new plan for vape regulations that extended some compliance deadlines. However, not all deadlines were extended! There is a big FDA deadline nine (9) days from now (September 30th) for all e-liquid and device manufacturers to register their establishments and provide a complete listing of products. Failure to comply with this registration and product listing could result in unregistered products being pulled from the shelves. For more information, follow this link to FDA Deadline Info. And as these deadlines approach, we still need to let Congress know that we support a common sense solution in H.R. 1136, the FDA Deeming Authority Clarification Act of 2017. Even if you have already reached out to your Members of Congress regarding this issue, this would be a great time to reinforce your previous message! Visit the Stop The Vape Ban site now and let your Members of Congress know TODAY how important this issue is to you by sending an email, making a phone call and tweeting. We’ve made it easy for you to act. CT – Gov. Malloy’s Budget “Compromise” Contains an Outrageous Vapor Tax! PA – Stop a tax hike on vaping! HR 1136 gains early co-sponsors. Take a moment to say THANK YOU! Recently, the Food and Drug Administration (FDA) announced a new plan for regulations that extend some compliance deadlines. The good news is that it gives the vape industry more time to prepare for the looming application deadlines. The Bad News is that it doesn’t change the onerous and burdensome premarket tobacco application (PMTA) that will still lead to a virtual vape ban. Unfortunately, these regulations do not lead to a solution that will save the industry or the right to vape. Additionally, there is also no change to the controversial “grandfather” date of February 2007. The majority of vape industry businesses cannot afford the PMTA process. Many will have to close their doors. Your favorite vape products will be off the market. Jobs will be lost. Help us Stop The Vape Ban and show your support of H.R.1136, the FDA Deeming Authority Clarification Act of 2017. Writing a letter to the editor of your local newspaper can have a huge impact. These matter to your Members of Congress – they read them! Please click the link below and provide us with a few details, and we can help. In addition to the very important letter to the editor, you can also let your Members of Congress know how important this issue is to you by calling, sending an email or tweeting. P.S. The “Letter to the Editor” section is one of the most widely read parts of most newspapers. A published letter can be VERY effective in alerting others to take action. Our friends at ECigIntelligence are conducting an important survey that will help tell the story of the diversity and strength of our vapor industry and we are asking every vapor company and vape shop to take a few mintues to complete the survey. Surveys are only as good as those who participate and only as good as the information you provide. So, please take the time to do your part and help us create the most accurate picture of how vape shops and vape companies contribute to our economy. Per ECigIntelligence, the specific information you provide will be kept confidential by ECigIntelligence and will not be shared with anyone. Instead, your responses will be aggregated with all the others so we can paint the overall picture and share those results with the decision makers in Washington D.C. and elswhere. Click here or on the icon below to take the survey now! Thank you for taking the time to participate today. PA – Take action to fix the vapor tax! DE – Help stop new taxes on vaping and higher taxes on smokeless tobacco! Post a comment on the Citizen Petition to FDA – Take Action! Help us send letters to HHS Secretary Tom Price – Click here for details! San Francisco, CA – Stop the Flavor Ban! PA – Help us change the vapor tax and bring vape shops back to Pennsylvania! DE – Stop Governor Carney from taxing vapor products! Delay the FDA – Comment on the Citizen Petition today! LA – Fight back against raising taxes on e-liquid! NY – Help us stop two bills that would restrict access to and use of vapor products! NYC – Stop the city from closing down vape shops! OR – Help defeat Tobacco and Vapor 21! Keep Cole-Bishop in the 2017 US Budget! NEW congressional BILL: H.R.1136 – To amend the Federal Food, Drug, and Cosmetic Act to provide for a certain effective date with respect to deemed tobacco products, to provide for the establishment of product standards for vapor product batteries, to provide for regulation of vapor products, and for other purposes. The timeline includes links to articles, patents, court decisions, and many other resources to give a comprehensive history of this revolutionary alternative to combustible tobacco. JOIN CASAA. By joining CASAA, you will become plugged into an advocacy network. We added these Nov Prints to your color selection (available for V3 only) for all VapeSlingers to enjoy this season or anytime. We hope you enjoyed our selections and featured prints so far. As always, please let us know. For comments on this new feature or anything you want to say, please tell us about it in the comments section or the Contact Us page. Reminder: You always have the option to choose your own fabric print by adding the complimentary product: Send&Sling. All print Fabrics are Officially Licensed by the copyright. Lastly, our USPTO patent will grant in 2018. Filed in 2014, our USPTO NPA is finally on the examiners desk. On this special month we offer everything pink to help raise awareness.
? ?Now Until the 31st, Select anything ?pink? to show your awareness and save 20% on all v2 or v3 pink items. Including pink bottle holders. Note: 20% applies only to pink items in your cart. New this month! VapeSling® October Featured Print: Jack from Nightmare on Christmas plus TWD The Walking Dead. We added Jack from Nightmare on Christmas and TWD The Walking Dead to your color selection on all our V3 products (available for V3 only) for all VapeSlingers to enjoy this Halloween or anytime. VSLLC conducts daily research for new CTA’s (Calls to Action) every morning. On occasion, a #2017VapeFight .org may publish a CTA later in the day. It may pass us till the next day. Help this page—> ON IG, we have received several CTA Alerts in the past from concerned Vapers (#VapeWarriors). We appreciate this and please continue or join in this practice. We will publish your handle when you tag us for the alert. Thank you VapersArmy! The Best Mod holder on the market! The Best Mod holder you could ever use is The V3 MODster™ by VapeSling®. A heavy duty, cross-body sling, worn like a guitar, the MODster™ provides the best weight distribution for heavy mods of any size, shape or weight. Just like guitarists, we vapers need our hands, all day long. The Best Mod holder on the market allows you to vape secure as you go. Vapes are made to be used, not stored in a SOX or enclosure of any kind. This sling allows the user to hold the largest and heaviest mods on the market. The MODster™ is an excellent fit for all large 18650 tubes to 26650 Box Mods. Whether, Square, Cylindrical, triangle or any geometric shape device, will be held comfortably and securely by the MODster™. For the latest news or product debuts, check our “Latest News” or follow us on Twitter or IG . FaceBook® is our least used medium. This month, we added Marvel Comics™ to color selection on all our V3 products (available for V3 only) for all VapeSlingers to enjoy. This will be the last of the Summer Blockbuster Movie season & comics slings, for the rest of the year. VSLLC /VapersArmy update this page daily. VSLLC conducts research for new CTA’s (Calls to Action) in the morning. On occasion, a #2017VapeFight .org may publish a CTA later in the day. It may pass us till the next day. Help this page—> ON IG, we have received several CTA Alerts in the past from concerned Vapers (#VapeWarriors). We appreciate this and please continue or join in this practice. We will publish your handle when you tag us for the alert. Thank you VapersArmy! Although, most of these CTA do not pertain to VapeSling® products directly, they do affect our #VapeCommunity success. The Community is family…being part of a family means doing your part. Please advocate for Vapor as Harm reduction. The new year is here, but responses to ECigIntelligence’s consumer survey are still needed. If you haven’t already, please take a moment (5 – 10 minutes) to complete the survey. (1) Send a Message! Support a change to the 2007 “predicate date” which could save the vapor industry from total destruction. (2) Join CASAA! It’s easy, it’s free, and we will keep you up to date on information and opportunities to take action to protect your access to vapor products. (3) Register To Vote! Millions of vapers, including YOU, have the power to influence government decisions by electing candidates who support vaping! (4) Tell your story! Visit CASAA’s Testimonials Project and tell us about your experience with low-risk, smoke-free products like e-cigarettes and snus. (5) Support CASAA’s work to promote tobacco harm reduction policies and keep the diverse range of smoke-free alternatives available.